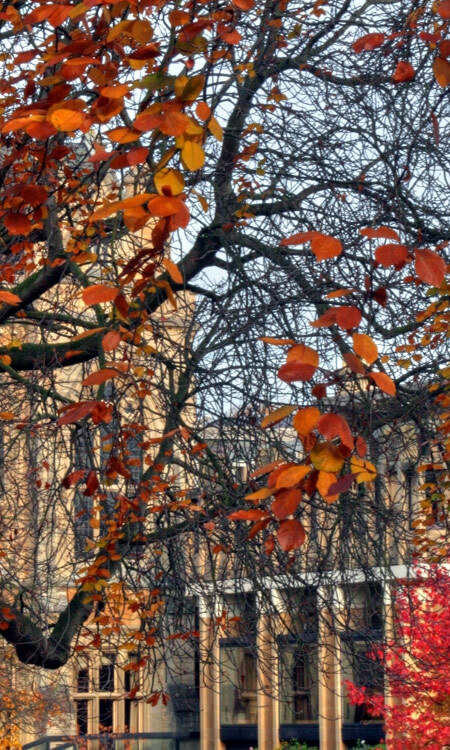 Photo: Flowery trees, Balliol College. Balliol College, founded in 1263, is one of the constituent colleges of the University of Oxford, England, United Kingdom. Image credit: Piers Nye. London, May 30, 2018 — The most valuable asset in a crowded market is reputation. Times Higher Education (THE) today announced the World Reputation Rankings 2018 comprising the world’s top 100 most prestigious universities. According to Times Higher Education, its World Reputation Rankings are created using the world’s largest invitation-only academic opinion survey, a unique piece of research. 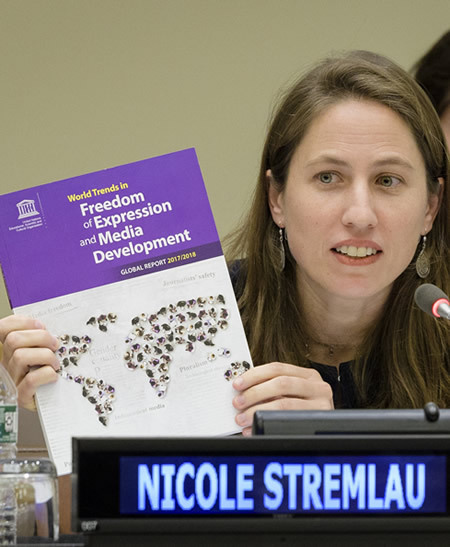 “The Academic Reputation Survey, available in 15 languages, uses United Nations data as a guide to ensure that the response coverage is as representative of world scholarship as possible. It is also evenly spread across academic disciplines,” THE elucidates. The reputation table ranks institutions according to an overall measure of their esteem that combines data on their reputation for research and teaching. From India, the Indian Institute of Science (IISc) Bengaluru has made it to the list in the 91-100 band. The last time it was featured was in 2011. 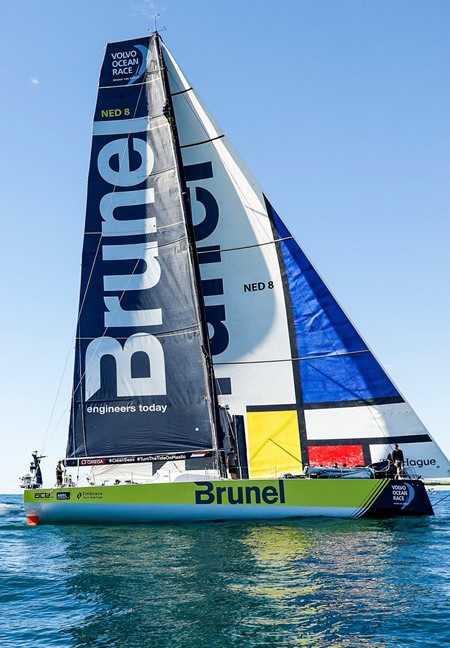 The 2017-18 Volvo Ocean Race is the 13th edition of the round-the-world Volvo Ocean Race. It started in Alicante, Spain, and will conclude in The Hague, Netherlands. Photo: Volvo Ocean Race 2017-2018. Leg 7, from Auckland to Itajai. 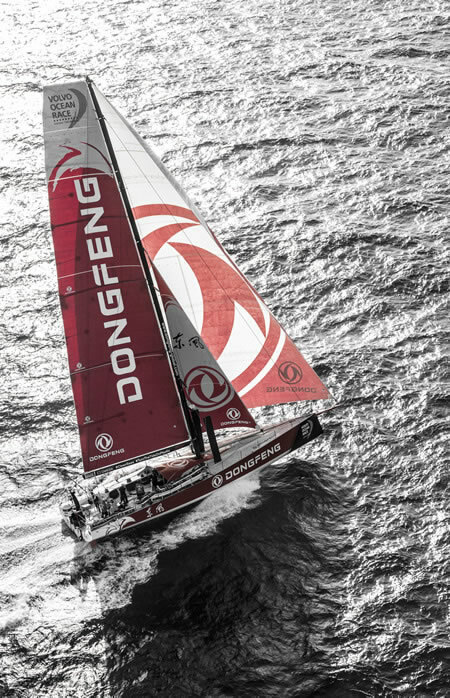 Image provided by & copyright © Ainhoa Sanchez/Volvo Ocean Race. Photo: Volvo Ocean Race 2017-2018. Leg 3, Cape Town to Melbourne. 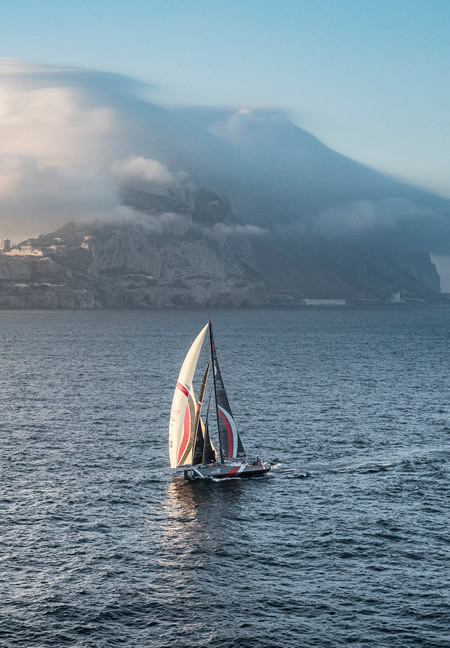 Image provided by & copyright © Ainhoa Sanchez/Volvo Ocean Race. Photo: Volvo Ocean Race 2017-2018. Arrivals from Lisbon to Cape Town. 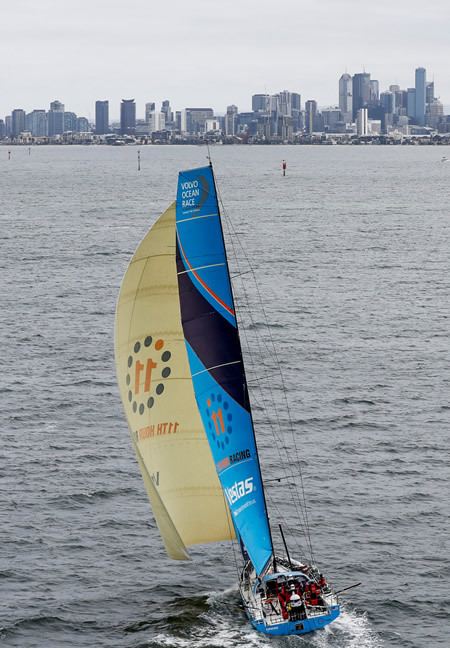 Image provided by & copyright © Pedro Martinez/Volvo Ocean Race. Photo: Volvo Ocean Race 2017-2018. Leg 01, Alicante to Lisbon. 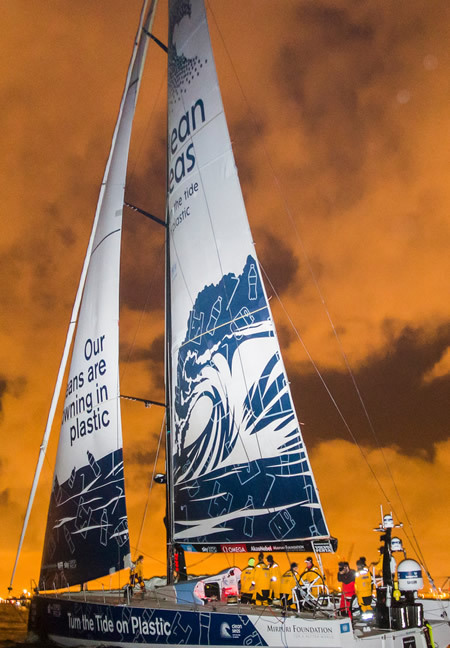 Image provided by & copyright © Ainhoa Sanchez/Volvo Ocean Race. Who will become the next Miss USA? Photo: The newly crowned Miss USA 2018, Sarah Rose Summers, with Paula Shugart, President of the Miss Universe Organization, at a press conference after the MISS USA Competition at George’s Pond, Hirsch Coliseum, Shreveport, LA, on Monday, May 21, 2018. The new winner will move to New York City where she will live during her reign and become a spokesperson for various causes alongside The Miss Universe Organization. Image provided by & copyright © The Miss Universe Organization. Photographer: Benjamin Askinas. Photo: Carolina Urrea, Miss Nevada USA 2018, on stage for her final look as a Top 3 finalist during the MISS USA Competition at George’s Pond, Hirsch Coliseum, Shreveport-Bossier, Louisiana, on Monday, May 21, 2018. Image provided by & copyright © The Miss Universe Organization. Photographer: Brittany Elizabeth Strickland. Photo: Narine Ishhanov, Miss Utah USA 2018, gets makeup done by an artist with The Perfect Face cosmetics upon arriving at the Margaritaville Resort and Casino in Shreveport-Bossier, Louisiana on May 11, 2018. The Miss USA contestants have spent the last week touring, filming, rehearsing and preparing to compete for the Miss USA crown in Shreveport-Bossier, Louisiana. Tune in to the 2018 MISS USA Competition at 8:00 PM ET on Monday, May 21, live on FOX from Shreveport-Bossier, Louisiana to see who will become the next Miss USA. Image provided by & copyright © The Miss Universe Organization. Photographer: Benjamin Askinas. Photo: Marianny Egurrola, Miss Georgia USA 2018, at the Miss USA Welcome Event hosted at the Silver Star Smokehouse on Sunday, May 13, 2018. The Miss USA contestants have spent the last week touring, filming, rehearsing and preparing to compete for the Miss USA crown in Shreveport-Bossier, Louisiana. Tune in to the 2018 MISS USA Competition at 8:00 PM ET on Monday, May 21, live on FOX from Shreveport-Bossier, Louisiana to see who will become the next Miss USA. Image provided by & copyright © The Miss Universe Organization. Photographer: Benjamin Askinas. Photo: Alexa Noone, Miss New Jersey USA 2018, during a photo shoot at the Shreveport Water Works Museum on May 15, 2018. 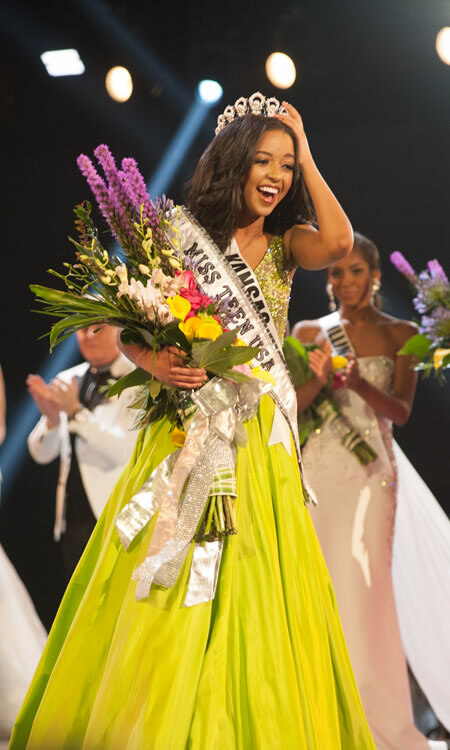 The Miss USA contestants have spent the last week touring, filming, rehearsing and preparing to compete for the Miss USA crown in Shreveport-Bossier, Louisiana. Tune in to the 2018 MISS USA Competition at 8:00 PM ET on Monday, May 21, live on FOX from Shreveport-Bossier, Louisiana to see who will become the next Miss USA. Image provided by & copyright © The Miss Universe Organization. Photographer: Benjamin Askinas. 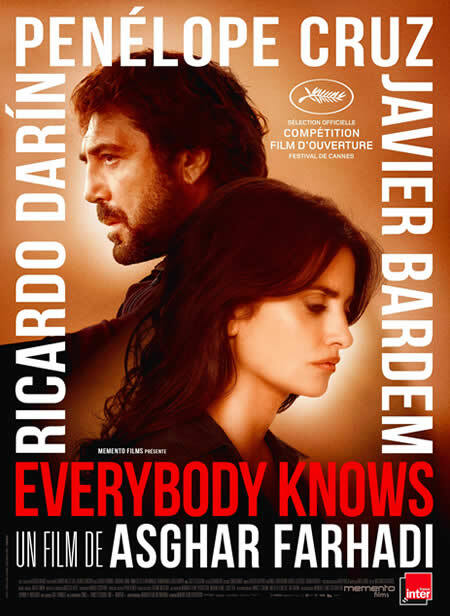 Photo: Film Poster of EVERYBODY KNOWS (TODOS LO SABEN), a film by Asghar Farhadi. Festival de Cannes 2018 opened with a screening of this film. Image Credit: Memento Films. The event culminated on the Red Carpet, where the prizewinners and jury were treated to a live musical surprise by Sting and Shaggy. Cate Blanchett awarded the PALME D’OR. Benicio Del Toro and Chang Chen awarded the GRAND PRIX. Gary Oldman and Léa Seydoux awarded the JURY PRIZE. Khadja Nin and Roberto Benigni awarded the BEST PERFORMANCE BY AN ACTOR Prize. Abderrahmane Sissako, Kristen Stewart, and Denis Villeneuve awarded the BEST DIRECTOR PRIZE. Robert Guédiguian and Chiara Mastroianni awarded the BEST SCREENPLAY PRIZES. Ava Duvernay and Asia Argento awarded the BEST PERFORMANCE BY AN ACTRESS Prize. Cate Blanchett awarded the SPECIAL PALME D’OR. The President of the Short Films and Cinéfondation Jury, Bertrand Bonello, awarded the Palme d’Or and the Jury Special Mention for Shorts Films. Ursula Meier, President of the Caméra d’Or Jury, awarded the CAMÉRA d’Or Prize. The Cinéfondation and Short Films Jury awarded the 2018 Cinéfondation Prizes during a ceremony held in the Buñuel Theatre. Bertrand Bonello headed the jury. The Cinéfondation Selection consisted of 17 student films, chosen out of 2,426 entries coming from 512 film schools around the world. Photo: Hailey Colborn, Miss Kansas Teen USA 2018, is crowned the new Miss Teen USA, by Miss USA 2017, Kára McCullough, and Miss Teen USA 2017, Sophia Dominguez-Heithoff at George’s Pond, Hirsch Coliseum, Shreveport-Bossier, LA, on Friday, May 18, 2018. The new winner will become a spokesperson for various causes alongside The Miss Universe Organization. Image provided by & copyright © The Miss Universe Organization. Photographer: Patrick Prather. Photo: Hailey Colborn, Miss Kansas Teen USA 2018, is crowned the new Miss Teen USA at the conclusion of the Miss Teen USA contest held at George’s Pond, Hirsch Coliseum, Shreveport-Bossier, LA, on Friday, May 18, 2018. The new winner will become a spokesperson for various causes alongside The Miss Universe Organization. Image provided by & copyright © The Miss Universe Organization. Photographer: Patrick Prather. Photo: Hollywood actress and L’Oréal Paris Spokesperson, Amber Heard. 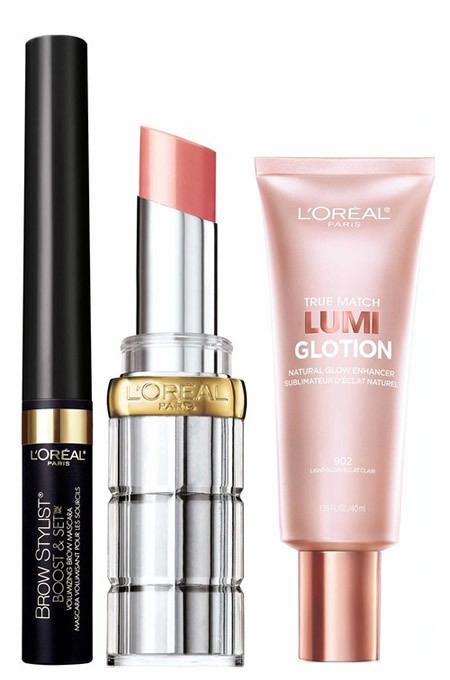 Image provided by & copyright © L’Oréal Paris. Paris: Amber Heard is the new global spokesperson for L’Oréal Paris. “Fearless, witty and smart, defying definition and rejecting convention, meet the Hollywood actress and committed woman making her voice heard,” the brand announced. A Texas native who grew up training horses, Heard is the first to admit that she never really imagined herself in the world of beauty, though she did dream of beauty pageants as a young girl. “Over the years I’ve always thought not just to be an actor, but to use my voice as a platform for making the world a slightly better place and for empowering women in the best way that I can,” Heard elaborated. Photo: Dutch model, Romee Strijd, walks the red carpet at the 2018 Cannes Film Festival. 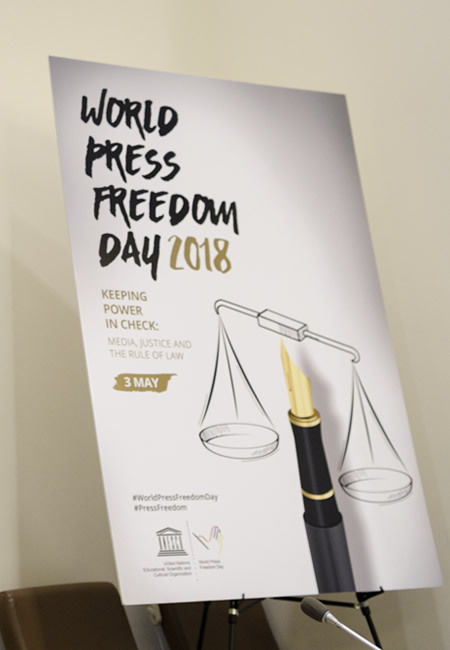 May 8, 2018. Romee looked charming with de GRISOGONO necklace in white gold paired with a high Jewellery ring in white gold. Image provided by & copyright © de GRISOGONO. Photo: Brasilian model, Raica Oliveira, walks the red carpet at the 2018 Cannes Film Festival. May 12, 2018. Raica was wearing de GRISOGONO GYPSY earrings with an ALLEGRA ring, all in pink gold set with brown diamonds. Image provided by & copyright © de GRISOGONO. Photo: Indian actress, Aishwarya Rai, walks the red carpet at the 2018 Cannes Film Festival. May 12, 2018. Aishwarya was wearing a de GRISOGONO DOPPIA ring (see above) in pink gold set with white diamonds and amethysts. Image provided by & copyright © de GRISOGONO. Photo: Half-Swedish, half-Thai actress and model, Praya Lundberg, walks the red carpet at the 2018 Cannes Film Festival. May 12, 2018. Praya was wearing a de GRISOGONO VENTAGLIO set composed of earrings and a ring in white gold set with white and icy diamonds paired with a VENTAGLIO bracelet in white gold set with white diamonds. Image provided by & copyright © de GRISOGONO. Photo: Indian actress, Kangana Ranaut, walks the red carpet at the 2018 Cannes Film Festival. May 11, 2018. Kangana was wearing de GRISOGONO ONDE earrings (see above), all in white gold set with white diamonds. Image provided by & copyright © de GRISOGONO. Photo: Brazilian model, Alessandra Ambrosio, walks the red carpet at the 2018 Cannes Film Festival. May 14, 2018. Alessandra was wearing a high jewelry set (see above) composed of a necklace and a ring in white gold set with emeralds, onyx and white diamonds. Images provided by & copyright © de GRISOGONO. On her way to the red carpet, we captured the luminous Rose Bertram at the Hotel Martinez. Photo: Tower Bridge, London. Image Credit: Tuomo Lindfors. Photo: Gateway of India, Mumbai. Image Credit: Wessel Venter. Photo: College Student. Image Credit: CollegeDegrees360. LONDON, May 8, 2018: London is the world’s best student city. The fifth edition of the QS Best Student Cities Ranking, released today, sees London replace Canada’s Montreal as the world-leader. London rises to the first position primarily as a result of increasingly positive responses to QS’s student survey, which asks students about the quality of experience in a city, and their willingness to remain there after graduating. The QS Best Student Cities index, published annually, showcases the best urban destinations for international students. The index assesses cities for its University Rankings, Student Mix, Desirability, Employer Activity, Affordability, and Student View. Tokyo reaches 2nd, its highest-ever position. Melbourne rises from the 5th to the 3rd position. No US city achieves a top-10 rank. US cities see declines in their ranks for Affordability, Employer Activity, and Student Mix. Zurich (8th) enters the top ten, rising five places. Germany and Australia both achieve two top-ten ranks. Latin America’s best student city is Buenos Aires, which rises from the 42nd to the 25th position. In total, QS rank the world’s top 100 cities. QS use six indicator groups to compile the ranking, each analyzing a different aspect of concern to prospective students. Mumbai (99th) represents India in the QS top 100 student cities for 2018. Located on the west coast at the site of a deep natural harbor, Mumbai, formerly known as Bombay, is India’s commercial, financial and entertainment capital. It is home to the Bollywood film industry and the highest number of millionaires in India. Photo: Indian model and actress, Deepika Padukone, attends the Heavenly Bodies: Fashion & The Catholic Imagination Costume Institute Gala at The Metropolitan Museum of Art on May 7, 2018, in New York City. Photo by Getty Images. Copyright © 2018 Getty Images. Image provided by TASAKI. Photo: Deepika Padukone at Cannes in 2017. Image provided by & Copyright © de GRISOGONO. PARIS, May 3, 2018: L’Oréal Paris, the official makeup partner to the Cannes Film festival, is creating The Worth It Show, its first talk-show inspired by the brand’s iconic slogan. Ophélie Meunier, the new star of French television, will conduct this talk-show to honor women’s empowerment in cinema, beauty, and beyond. The show would be open to the public, from May 8th to May 14th, every night, at 8:30 P.M. It would be an entertainment-packed half-hour starring L’Oréal actress ambassadors and other personalities present at Cannes. According to L’Oréal Paris, while it has been making beauty to empower women for over 40 years, it is now creating a public-facing talk-show beyond the glamorous red carpet images. It would be “A platform to share the real people and stories behind the picture-perfection and inspire women everywhere to triumph in self-worth,” the brand explained. TONIGHT, ON THE WORTH IT SHOW! Join Ophélie Meunier for the Worth It Show! After her meteoric rise, Ophélie Meunier, the current face of French television, is a committed woman defending today’s societal causes. Every night, this intrepid presenter would reveal the real women behind the stars of the festival. Ophélie Meunier meets L’Oréal Paris’ actress and actor ambassadors to discuss their careers, upcoming projects, and much more. • May 8th — Isabelle Adjani - the rebel French screen icon who has just joined the L’Oréal Paris family. • May 9th — Julianne Moore & Leila Behkti - the Academy Award-winning actress will join the French cinema sweetheart. • May 10th — Deepika Padukone - the Bollywood superstar. • May 11th — Aja Naomi King - the influential young rising actress. • May 12th — Aishwarya Rai & Helen Mirren - the ultimate Indian goddess will join the unconditional queen. • May 13th — Nicolaj Coster-Waldau - the discrete but irresistible new hero. • May 14th — Jane Fonda - the screen icon. Find out each show’s lineup of guests and entertainment day-by-day during the festival. The Worth It Show by L’Oréal Paris, live from Cannes. From May 8th to May 14th. At 8.30 pm. Martinez Hotel Beach. Open to the public.